Petrus, the world's most legendary wine, is produced in the heart of the Pomerol appellation, from a blend of 100% Merlot. This wine is the envy of wine lovers all over the world, both for its incredible qualities and its unreasonable price. Petrus 1950 is one of the monuments produced by the estate. This wine has something immortal: more than 60 years after bottling, it still shows signs of youth! He is dressed in an opulent dark purple robe and immediately reminds us of the great vintages of 1947 and 1961. On the nose, it offers a decadent bouquet overflowing with ripe black fruit, liquorice and tobacco. Ample and rich on the palate, Petrus 1950 is extraordinarily rich in extract, offering aromas of candied blackberries, blackcurrants and blackberries, as well as leather, dried herbs and roasted coffee, ending with a spectacular finish full of silky and velvety tannins still present despite its great age. 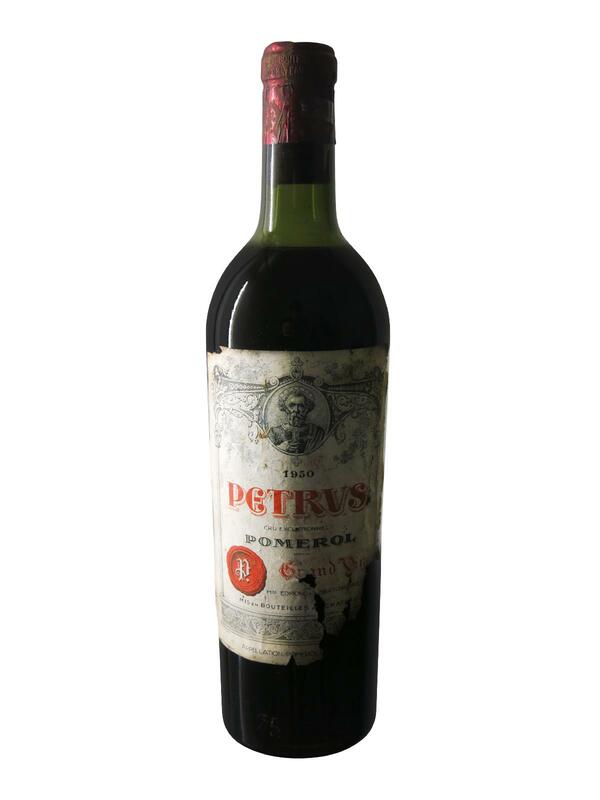 Petrus 1950 is more than a great wine, it is an immortal nectar!